HTC Flyer owners look lively: Android Honeycomb is finally heading to your tablet. The HTC Flyer, the Taiwanese mobile maker's first foray into tablets, is finally set to get an Android Honeycomb update. The new software has been leaked online, with new screenshots showing just how the beefed up OS looks on the 7-inch slate. Punters can now use the Flyer's unique stylus on the entire device, instead of dedicated apps, while HTC Sense has been given a tablet makeover. It seems HTC is keen to ensure that its custom skin works with Honeycomb, despite suggestions from Google that the vanilla version of the OS is just fine. Owners can get hold of the ROM for the new update now, although that comes with all the attendant risks of installing unreleased software. If you're unsure, best wait until HTC begins the official roll out. Can't wait to get Honeycomb on your HTC Flyer? 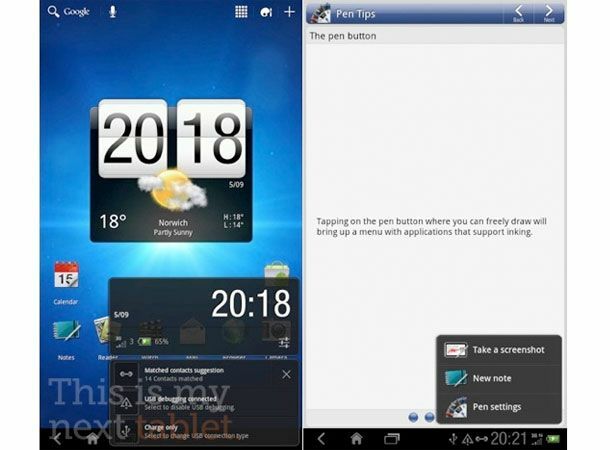 Or already priming yourself for the next-gen HTC Puccini tablet? Tell us now on our Facebook and Twitter pages.